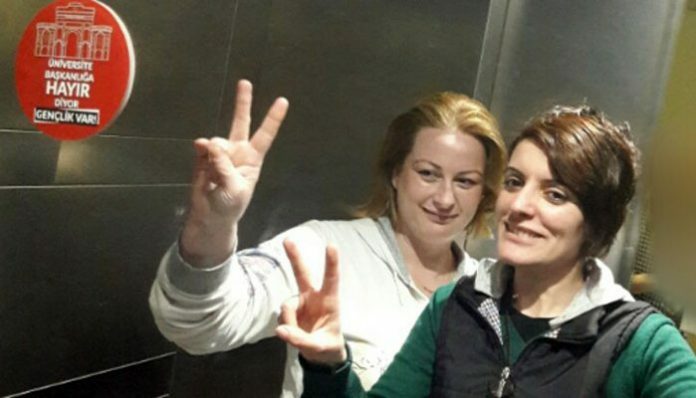 Two workers at a café at İzmir’s Katip Çelebi University were fired by their subcontractor employer after they shared a photo of them on social media taken next to a “No” sign for a referendum to be held on April 16. In comments to the Bianet website, Zeynep Güler, one of the workers, said they learned of their dismissal in a phone call from their employer. She said they took a photo next to the sign and shared it on social media on Feb. 28. She added that they were fired on March 10. She told Bianet that she would take legal action against subcontractor over the dismissal.